Gone is the current 4.6-liter V-8, replaced by a 2.5-liter V-6—most likely a version of the engine presently found in the IS. The present 3.5-liter V-6 will become the top of the range. About a year after launch, a 2.5-liter hybrid will reportedly be added to the GS lineup. In contrast, the GS F variant will employ the IS F’s 5.0-liter V-8, but with strategic modifications including revamped ECU and exhaust. Horsepower will reportedly be boosted from 417 hp to as much as 464 hp. …the GS F will also incorporate a lighter platform and some carbon fiber body parts to get pounds down to a target weight of around 3530 lbs. 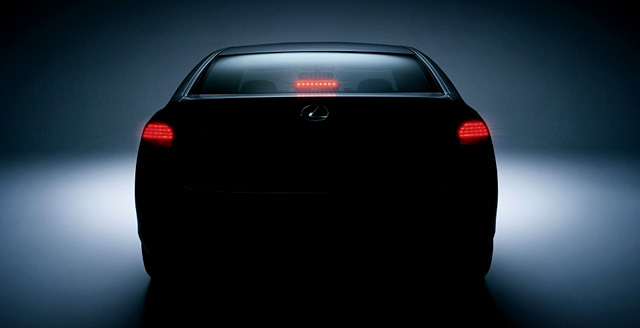 Basically, this would equal a GS 250, GS 350, GSh & a GS-F, which means that Lexus’ sports sedan would experience a dramatic performance downshift, and not be offered with a V8 engine except in a F-Sport tuned model. How likely is that? It’s true that the current GS 460 & GS 450h put out similar performance numbers, and that could make one of the models redundant in the future. And yet, Motor Trend’s lineup eliminates both. The entire lineup would need to hit the proposed 3530 lb weight to make this viable, never mind just the GS-F. I can’t see the IS 250’s engine even being able to move a GS without some drastic weight reduction, and even if it could, I doubt we’ll see a GS 250 in North America. I don’t believe it for one second.